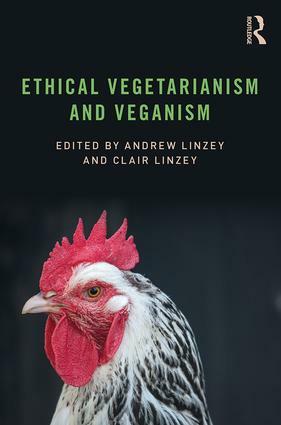 The cover of Ethical Vegetarianism and Veganism, a collection of essays edited by Andrew Linzey and Clair Linzey, features a photograph of a rescued chicken taken by Jo-Anne McArthur. Rescued is an optimistic word because the life of a chicken freed from a factory farm is often all-too-brief. Chickens bred for food are pumped so full of growth hormones that their legs cannot bear the weight of their super-sized bodies. Their bodies break under the many pressures of simply being alive — something they were never bred to experience for more than a few months. And the weeks that they are alive are, to put it plainly, a hell on earth. 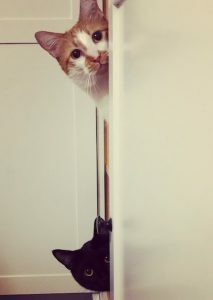 Over the years, this hell has grown in magnitude. According to the essay by Lucille Claire Thibodeau, more than 9 billion chickens are killed each year, up from 1.6 billion in 1960. And 250 million male chickens are killed each year at birth simply because they were born the incorrect gender. When you consider the chickens, the cows, the pigs and the sheep, you arrive at a gruesome grand total: more than 60 billion animals killed each year; the equivalent of every human on this planet taking the lives of more than seven animals. But this book is about so much more than laying out the numbers. It is about dissecting many of the justifications for eating animals that we have been raised to believe. Like our religions. As one raised on the Bible, I was taught that humans had “dominion” over other animals. What I wasn’t taught in Sunday School was that Adam and Eve were vegans — and that there are numerous passages in the Bible in defense of animals. Just as the Bible can be used as a basis for killing animals it can also be used as a basis for doing quite the opposite. A growing number of Christians are making the case for just this. And it’s not just Christianity that uses ancient texts to justify animal killing — other religions are also taken to task in this book. 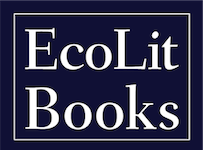 Other essays explore issues such as the treatment of humans who work in animal agriculture, the “moral poverty” of pescatarianism, and can one be a vegetarian if he or she eats insects? I was also pleased to see an essay address the issue concerning the death of field animals in plant agriculture. I have seen the argument tossed around quite frequently along the lines of “When you eat plants you’re responsible for the deaths of all those mice and birds and other creatures caught up in farm equipment.” And this is true, to a point. The author, Joe Wills, differentiates between intentional killing and unintentional killing. To equate the intentional killing of billions of animals with the unintentional killing of field animals is a suspect argument, but one that I’m hearing more frequently (from people who don’t really care about field mice, but do care about giving up meat). Ultimately, as history has taught us, people can rationalize practically any type of cruelty. This book provides a solid foundation for questioning the many rationalizations that have resulted in the suffering and deaths of so many of our fellow animals. The book jacket text of Ethical Vegetarianism and Veganism reads “The protest against meat eating may turn out to be one of the most significant movements of our age.” Indeed. In fact, I believe it is fast becoming “the” most significant movements of our age. This book is by its existence a positive sign that our society is finally coming to terms with the horror that we created. This book is a welcome addition to the growing curriculum in defense of animals.